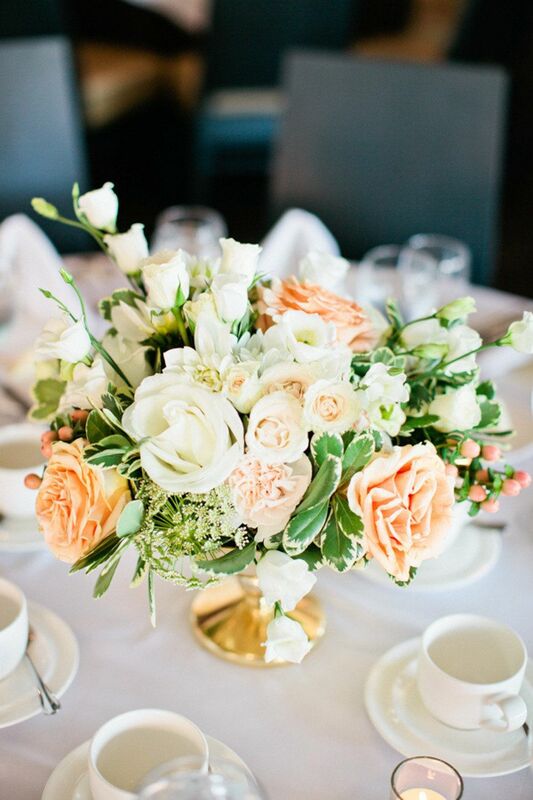 Marriage over romance with peach, white and gold elements! Good week and good morning!!! For the beginning of our week and completing the 60the Our palette, we decided to highlight a color combination, pastel shades and definitely very sweet character. 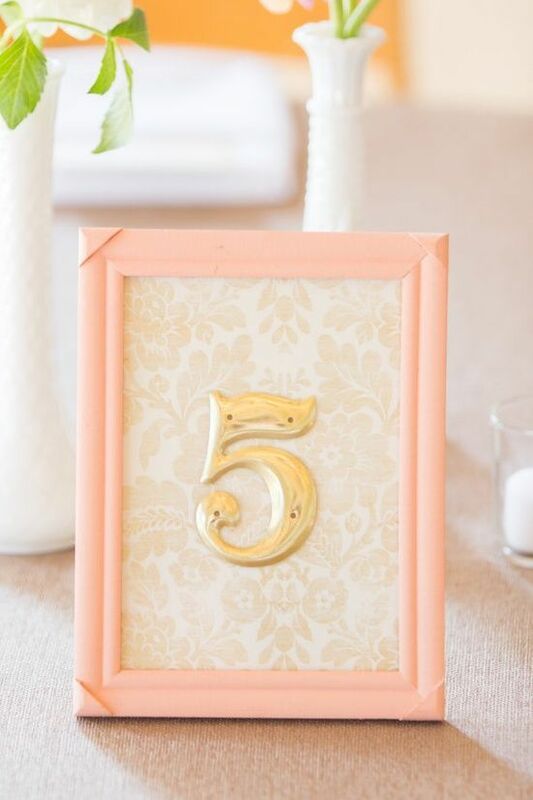 Gentle, pastel peach and white combined with the shade of gold. The gold or silver is 2 colors that do not often choose the Brides, reason of its special materials. It is difficult to find and add those colors actually in the palette of your wedding? Many brides think so, but this is not true. The decorative elements will be called to choose for decorating, instead of looking for a transparent bowl in different designs, start with a decorative element which has the hue you want. There are gold and silver discs, There platters, bowl and candlesticks in these shades. Even if you do not find something that represents you, you can very easily find small jars in various designs and sizes and can integrate in decorating your tables. The decor is something that is very special attention, good taste and elegant without excesses and good research! The pallet us today, exudes coolness and romance! It refers to a youthfulness and an innate sweetness. Girlish insouciance! Combine beautiful romantic flowers such as roses, dahlias and freesia. Put color in your accessories, the wedding cake, the invitational, wedding favor and everything you love. It is brightly colored and does not affect markedly decoration, with excesses. You can safely decorate largely with these pastel colors.